I am a Norwegian journalist, academic and web series aficionado living in Melbourne, Australia. I teach journalism at La Trobe University, and my subjects focus on multimedia journalism, digital publishing and law/ethics. 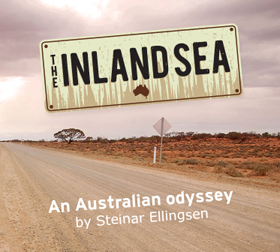 I have a background as a newspaper journalist, but in my PhD project I explored and experimented with new media technologies, and made a documentary travel web series called The Inland Sea: An Australian Odyssey. I am also the Director of Melbourne WebFest — Australia's first and only international web series festival. Find us at www.melbournewebfest.com.